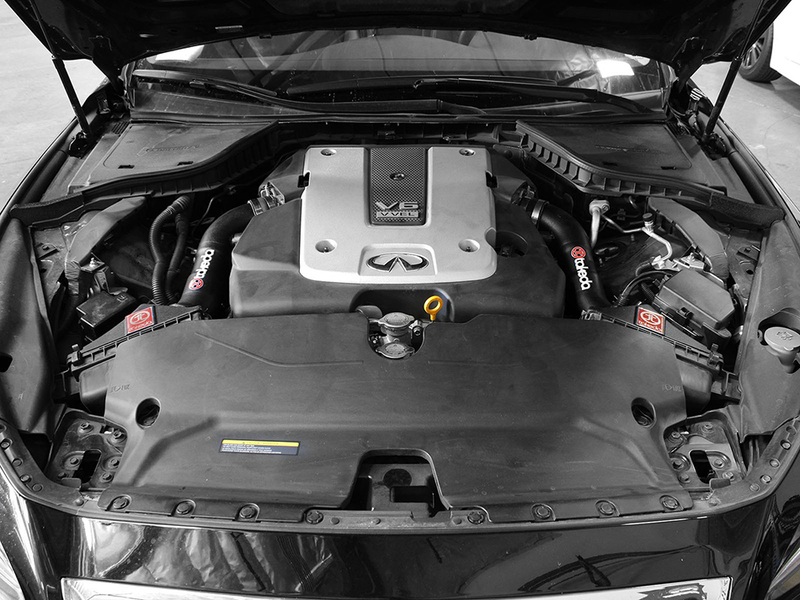 This intake is 50-state legal for 2014-2015 Infiniti Q50 V6-3.7L models (CARB E.O Number D-550-21). Stay ahead of the competition with the performance gains that you'll receive from this cold air intake system. 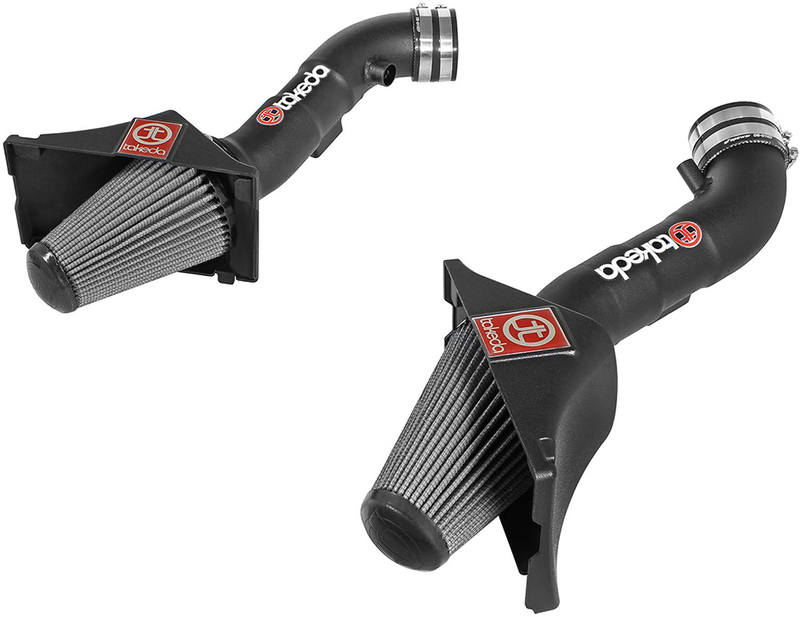 Enhance the appearance of your engine bay with this dual cone intake system. 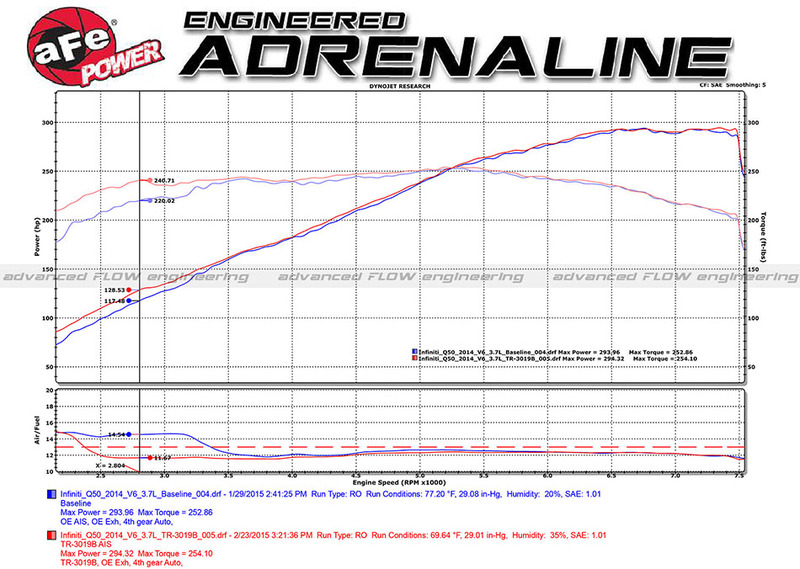 Your engine will have a much more aggressive tone. 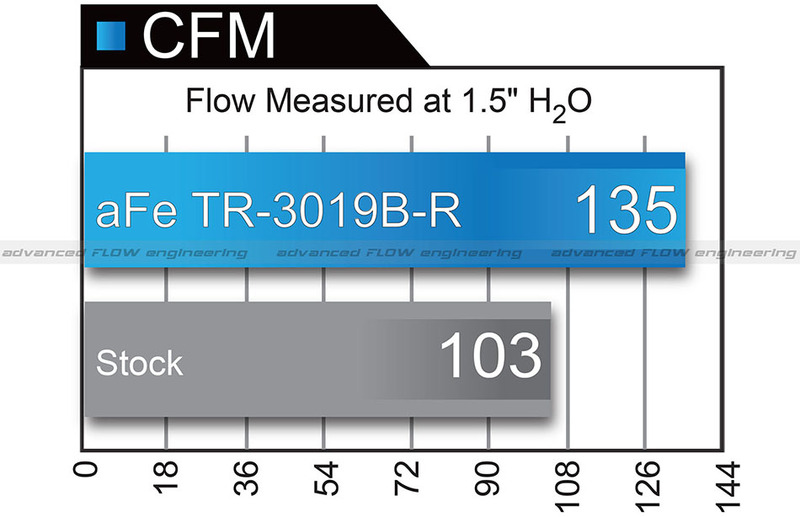 The air filter uses a unique (patent pending) flange retention design that requires no hardware to mount the filter to the housing. This intake system utilizes a pre-oiled, large 6"" tall conical 360 degree radial flow performance air filter with 5-layers of progressive finer mesh cotton media providing maximum airflow and performance. 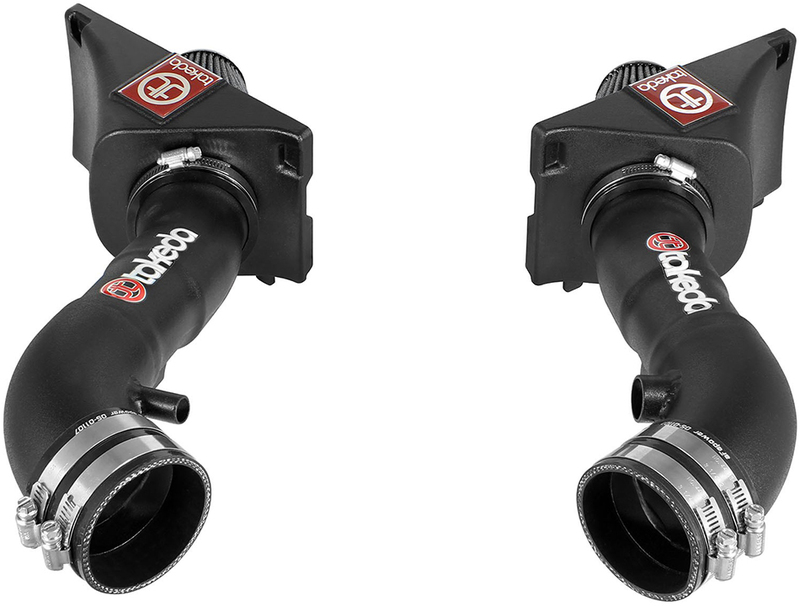 aFe developed these high quality ABS plastic housings to snap into the factory air box to provide a hassle-free installation utilizing factory mounting clips and locations. 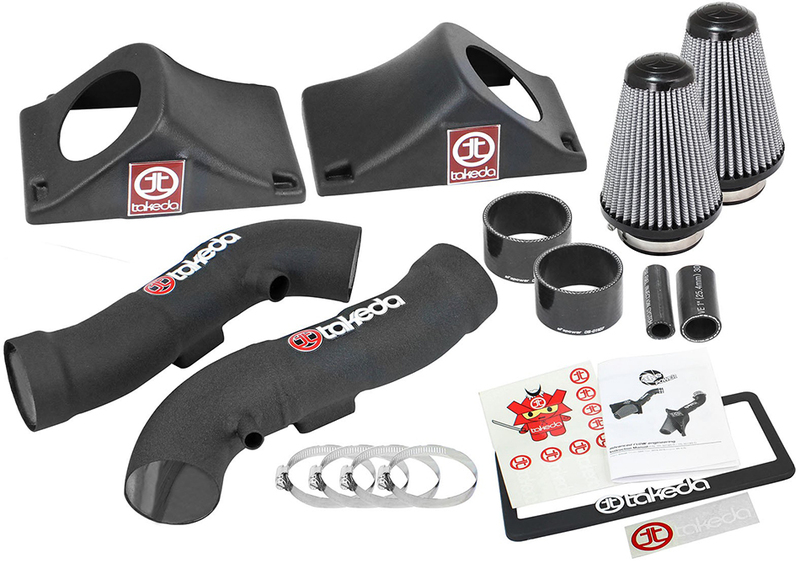 Dual 2.75"" One-Piece Mandrel-Bent, Wrinkle-Black Powder-Coated Intake Tubes directs unrestricted airflow from the massive filter to the throttle body for more horsepower and torque.